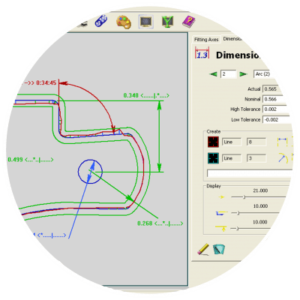 Eley Metrology has been writing it's own software since 1984 with the introduction of the first full 3D geometric software measurement package. Since then this has been followed by the first 2D fitting software. Development has continued with the introduction of products such as True Pipe and True Scan. Full geometric software and free-form measurement with real-time on screen rendered display and an extensive range of simple and complex part alignments. 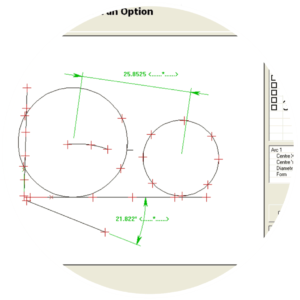 32bit contour and geometric software analysis programme. Used with both contact and non-contact measuring applications it has multiple CAD and data import facilities giving almost limitless fitting capabilities. 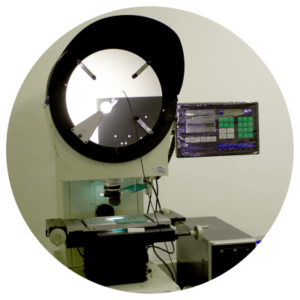 Allows traditional profile projectors (shadowgraphs) to be upgraded into powerful PS based measuring machines.